As a therapist, I am honored to walk fellow suicide-loss survivors through the tragedy of losing their loved one. The range of emotions these individuals feel is so unique and yet, the similarities are what makes a support group so powerful. I recently taught to a room of survivors at a grief conference. We did a hands-on experiential type of activity that asked the survivors to sort through some of those common feelings of guilt and regret those left behind are often plagued with. We wrestled with all of the “What if…?” questions and “If only….” phrases that consume our minds, thoughts, and energy. These feelings of guilt and regret are normal and part of the grief process. Sometimes, though, we get stuck on these and punish ourselves over and over for not “saving” our loved one. Often, we forget to think back on the good things and the ways we were a good mother, father, spouse, or child. Toward the end of the grief conference lecture, I had everyone write their best memories with their loved one on a poster board. There was no limit to how many they could list and most people kept writing and writing. Before I do any type of activity with survivors, I always do it first with myself and my grief. It’s hard to ask others to do an activity I would not be willing to do myself. When I began listing the memories of my mom, several came to mind that I had not thought of or remembered in almost three decades. There was a specific board game we always used to play together that I had forgotten all about. There were the chocolate croissants we used to pick up at the corner bakery on a special morning. And, the most simple of all, was how she used to have a supply of Chiclets gum in her purse. 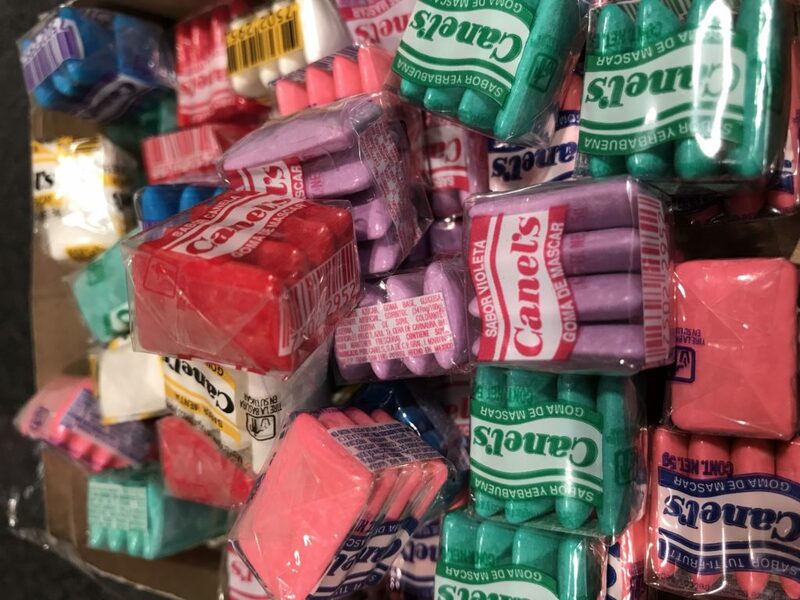 My mom grew up in Mexico City and grew up eating Chiclets. When she moved to the States, she always kept a supply of Chiclets in her purse. Perhaps she was after the memory of the gum and not necessarily the flavor that only lasts a few seconds. Regardless, I could always count on her to share her Chiclets with me. How could I forget these memories all of these years? Maybe I was too busy being angry and hurt over how she died that I forgot to remember how she lived. This stroll down memory lane awoke something in my heart that day. It reminded me of all the great things about my mom I had pushed away for almost 30 years. I decided to bring some of that childhood joy to my own children. I came home and looked online and found the same version of that board game on Ebay and purchased it immediately. Ironically, my kids love it as much as I did as a child! A colleague mentioned to me that her mom was visiting Mexico that week. I asked if her mom might be willing to bring home some Chiclets for me. She brought me home an entire box and now I keep some in my purse for my own children. The flavor disappears within seconds, really, but the memory of eating it with my mom is what I am seeking anyway. Sometimes a sweet Chiclet memory is all we need to remember how they lived. Those feelings of guilt and regret over how they died are normal parts of grief, but we also need to allow the good memories to come in as well. Sometimes I think of good memories but mostly bad. I think I’ll make a list of good ones… possibly on the upcoming anniversary of her death. It’s great to hear about a love that survives all with special moments sustaining it forever. I am so thankful you shared this! After my son’s tragic death by suicide, I received the best advice ever from my psychiatrist. He said, “Don’t focus on those final few moments when he made that horrible decision. His life was so much more than that! Remember his life!”. I have lung to that for almost 12 years now. There are so many wonderful, funny and happy memories. Thank you! I wish that your grief conference was closer to my home. I am going to get my paper and pencil out and start listing memories too. I speak at different locations all over the country. If your home town ever has an event pertaining to suicide or grief, I would love to join in. It has been 43 years since my father opted out. My mother blamed me. Trying to accept the terrible pain I have put my 2 younger sisters and my mother through and not knowing why and my mother dying and still blaming me. I am now old and it still hurts so much. I pretend it does not. It does. Hurt to read the above. Wow, Deb – that is a terrible and deep pain to have. I am so sorry. I don’t know any of the details of your situation, but I do know one thing. The opting out was your father’s choice. No matter what. We all feel somewhat responsible for our loved one’s suicide, and to have someone, especially your own mother, actually blame you, is very harsh. I hope you talk to someone about this, someone who can help you get a more objective view of this whole situation. I’m truly sorry for the pain you carry. Take care. Thank you for the way you help me to remenber the good memories of my son life. I check this site/blog on a regular basis since losing my sister to suicide because I can always relate to what’s being discussed. I had so many shared, loving, wonderful memories of my sister and our family but when I think of them now I am instantly saddened and regretful. For me the good memories feel tainted, almost a farce because they are so contrast to being permanently removed from someone’s life. It breaks my heart in so many ways. The pain surfaces and resurfaces in so many different forms. Two years ago, then one year ago, I couldn’t bear the thought of tomorrow. It was a constant effort just to be here at that specific moment. This year it’s been better. This blog has taught me that perhaps time will eventually leave an opening too, for the good memories to be just what they always were, good. Thank you so much for this blog!